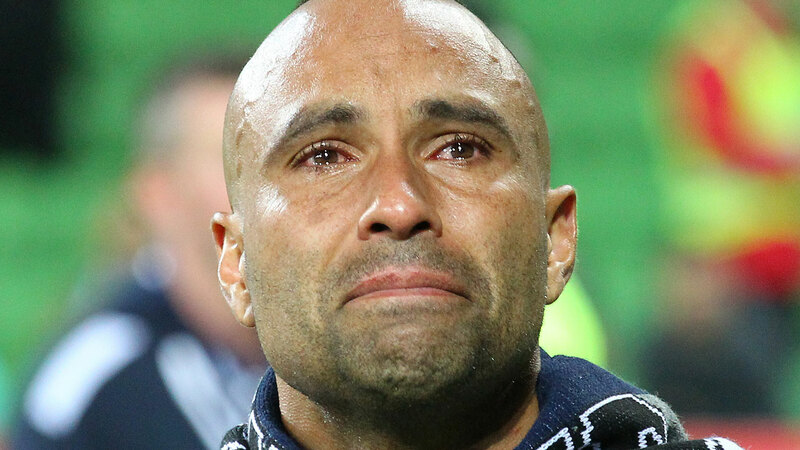 Former Melbourne Victory and Socceroos star Archie Thompson has revealed the heartbreaking mental health battle he endured following his retirement. After 224 games and 90 goals for the Melbourne Victory following the inception of the A-League in 2005, Thompson called it a day in 2016 and admitted that he struggled with the fact that his career was coming to an end. "Your life has been structured from the moment you turn up to training, what you have to wear, what you need to do, so, it was always sort of set out for us. When it gets taken away from you, you don’t know what to do," he told Fox Sports. "I just don’t think I was ready for it at the time, and then all of a sudden, everything that was structured for me, wasn’t anymore. "That’s when the anxiety and the ‘what am I going to do, am I going to be able to support my family?’ kicks in." Thompson revealed that the darkest moment came when he turned to alcohol as a coping mechanism and contemplated taking his own life. "For me, dealing with it initially, I was turning to the drink. I was drinking and rocking up to training, and I couldn’t even stand half the time," he said. "It almost got to the point where I thought about… you know… I was so close to going and doing it so many times… jumping off the West Gate Bridge. "It took a couple of good people to see that I was struggling; that I was at rock bottom. They realised I was in a bit of trouble and needed help." The three-time A-League Championship winner admitted the combination of his career coming to an end as well as a marriage breakdown drove him to his darkest place. "When you finish your career, everybody wants to go out on a high," he said. "But over the course of those eight months, I just hated the game. I felt like football was the reason I screwed up my relationship, I couldn’t see my kids, and what was my sanctum I didn’t want to be a part of anymore. "I’d go to training, and the training was always a release for me. I’d get onto the pitch and I’d just let it all out. I couldn’t even do that. "I’d ring up the club or coach and make excuses and say ‘look I’m sick, I can’t come in'."